Join Poets Out Load tonight, Tuesday 2/26, at Fordham Lincoln Center and support living writers! Meg Day and Sharon Wang will read their work and answer questions about all things poetry and writing. Free and open to the public. 7-8:30 p.m. Lowenstein, 12th floor. 113 W. 60th st. Come on out! This year’s winner of the Poets Out Loud Prize, Midden, by Julia Bouwsma, has just been named one of the best books of 2018 by NPR. Shuttling between the early 20th century and the cabin in Maine where Bouwsma now lives and farms, the poems summon and live with their ghosts with enormous, deliberate tenderness. "All winter, I tried to write the island/ to life, labored// these voices, the people torn/ up" she writes, before adding "all winter, the beaver hung in my shed,/ her body frozen and still, / upside down in the dark." Midden was selected for the POL Prize by poet Afaa M. Weaver from over 200 manuscripts submitted. The POL Prizes Series, edited by Elisabeth Frost for Fordham Press, publishes two poetry titles annually in an international competition. Excerpts from the winner of the POL Editor’s Prize, Henk Rossouw’s Xamissa, have also been honored: selections have just been published in the anthology Best Experimental Writing 2018 from Wesleyan University Press. This week’s New York City Planning Commission’s approval of rezoning East Harlem is expected to usher in sweeping changes to the neighborhood known as El Barrio for its mostly Spanish-speaking residents. Poet Melissa Castillo-Garsow, Ph.D., GSAS ’11, foresaw the change and portrayed it in her poem “El Barrio,” which she performed at the Sept. 25 Poets Out Loud reading. Castillo-Garsow said she wrote the poem while living in the area as a M.A. student in English at the Graduate School of Arts and Sciences and at the Latin American and Latino Studies Institute. This story is reprinted from Fordham News, which also includes a recording of Castillo-Garsow's reading. This year's inaugural event in Fordham’s poetry reading series, Poets Out Loud, features a poet with many connections to our university. Melissa Castillo-Garsow received her M.A. in English with a concentration in Creative Writing from Fordham. She was a graduate assistant for the American Studies Program and also holds an Advanced Certificate from LALSI, the Latin American and Latino Studies Institute. And a further connection: her publications include a novel co-authored with Fordham University African and African American Studies Professor Mark Naison. 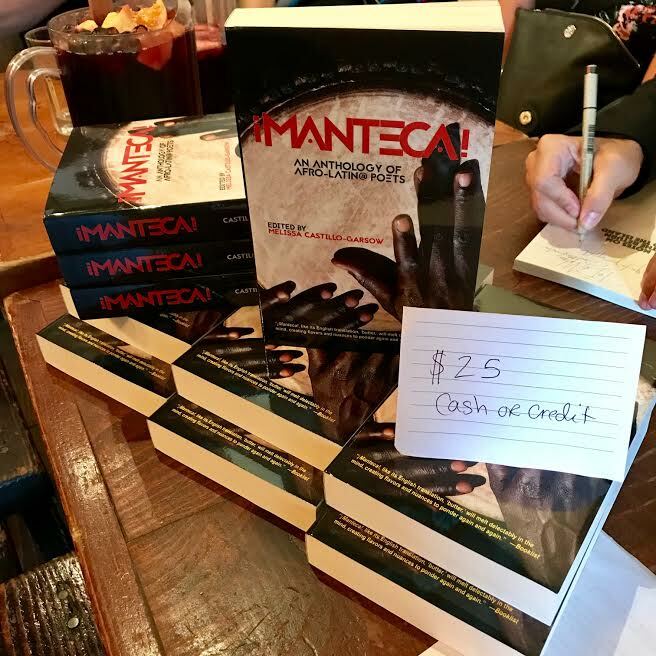 On the occasion of that novel's publication, English Connect interviewed Castillo-Garsow. In accepting the invitation, she let us know how pleased she is to be returning to Fordham for this reading—a postdoctoral fellow at Harvard, she is currently living in the Boston area--, and we are very pleased to welcome her back. Castillo-Garsow's engagement with issues of immigration and Mexican culture runs throughout both her poems and the dissertation she wrote at Yale, entitled “A Mexican State of Mind: New York City and the New Borderlands of Culture.” And much of her work engages with connections between African-American and borderlands studies. Writing about her poetry, recently published in Coatlicue Eats the Apple, the distinguished Latino poet Willie Perdomo (himself a former Fordham faculty member), observes that it “subvert[s] sacred symbols with angsty, humorous rebellion.” Both thatpowerful poetry and her wide ranging publications in other fields—they include co-editing (with Jason Nichols) La Verdad: An International Dialogue on Hip Hop Latinidades, and editing ¡Manteca! 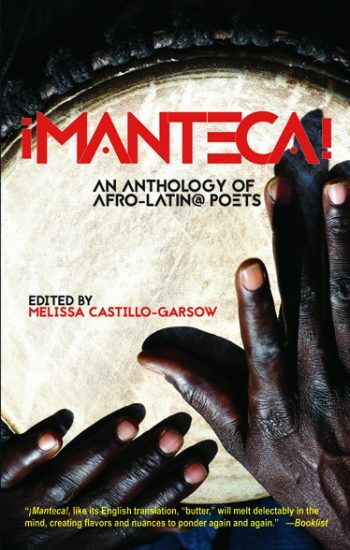 : An Anthology of Afro-Latino Poetry--demonstrate why we are proud to include her in our first reading. This reading also includes another impressive poet and fiction writer, Donna Masini, who teaches at Hunter College. Her third book of poems, 4:30 Movie, is forthcoming; she is also the author of two other collections of poetry, entitled Turning to Fiction and That Kind of Danger, and of the novel, About Yvonne. This event will take place at our Lincoln Center campus, 12th floor lounge, on September 25 between 7 and 8:15 PM . Like all the readings in Poets Out Loud, this is free and open to the public. Refreshments are served, and all audience members have the opportunity to win a free inscribed book by one of the poets.